In SW2, players will be able to get their hands on two PAYDAY 2 weapons: the AMCAR rifle and the money bundle (yes, really). 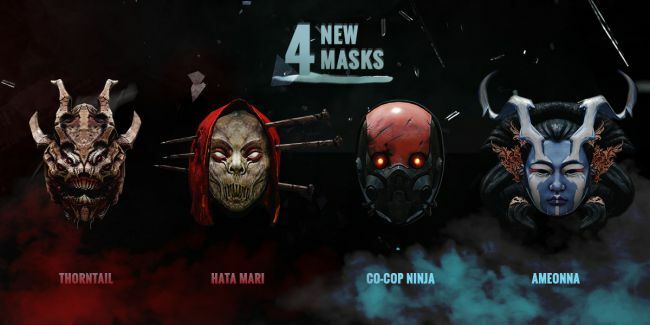 They'll also be able to grab a Dallas mask for co-op play. In PAYDAY 2, players can now wield Lo Wang's Kazaguruma. Four SW2-themed masks are also available to wear on your many heists. Steam is running a promotion alongside the event where interested parties can pick up a bundle containing both games for $31.48 (48% off), PAYDAY 2 for $4.99 (75% off), or Shadow Warrior 2 for $29.99 (25% off). Anyone who already own one of the games on Steam gets another 10% off the other. 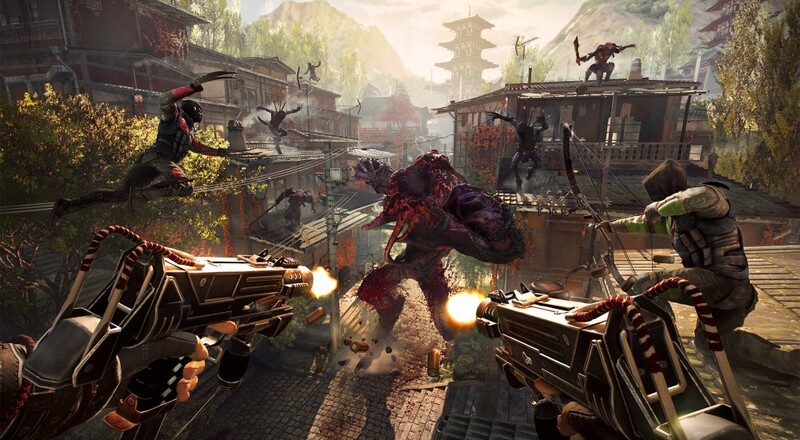 We gave both games high co-op scores, with PAYDAY 2 receiving at 4.5 out of 5 and Shadow Warrior 2 also receiving at 4.5 out of 5. It's always nice to see developers and publisher teaming up like this, and it's especially exciting to see it with two games sporting such strong co-op gameplay. Page created in 0.6062 seconds.